Welcome to the Holey Suit Game Dev Blog – every week (or so) I will post updates on my current project: Holey Suit, to the escape pod! In this blog post I’m touching base on pressing the mighty release button, unforeseen consequences of releasing an alpha (=unfinished) game, getting featured on itch.io and other obscurity-fighting stuff! Holey Suit is a physics based space survival action game, available for free in alpha on itch.io and gamejolt! For more info on how the game came together, check out previous posts here, there and there! Alpha Release, pushing the Release Button! So I pushed the mighty release button on itch.io for #indiedevhour at 7pm Wednesday night, 13th of September. How did that go? Well, some things went very well – some went very wrong! Nothing is guaranteed in the wild wild west of the indie game world! First steps were to make people aware of the game. So, I quickly followed with a tweet announcing the release and over the next couple of days, started planning for the weekend. As I imagine most indie players try out new titles over the weekend, I set a goal of getting traction beforehand. My first target was YouTube and hopefully getting some comments + video links on the game’s page. I contacted a handful of Let’s Players whose channels I liked & specialised in indie games. Second step, I decided to also push the game to GameJolt. I was always worried about the overhead of managing two sites, but after a bit of research I figured broadening the game exposure had to be a good thing. I also set to work on getting better screenshots for the game, as previous ones were done hastily and didn’t show the game in the best light. With all that done, all that was left to do was wait… Or so I thought! Last night a Let’s Player Saved my life! First of all, I’d like to throw a big shout out to MonkeyboyGamer! Within the late hours of Saturday, I started getting notifications that the game wasn’t working on Windows 10. Players were getting a black screen on launch. D’oh! Was it their setup, graphics card, a Game Maker Studio bug? I couldn’t reproduce the issue and found it hard to think clear. Panic crept in! Luckily, MonkeyboyGamer had not only spotted the problem and notified me, but had also figured out a workaround by setting the executable compatibility mode to Windows 8 (something I hadn’t done since I last played games on Windows XP!). This not only allowed me to come back quickly to other players that raised the problem, but also singled out the underlying problem with a bit of googling. Lessons learned the hard way! So, what take-aways can I draw from this semi-shambolic release? As usual, preparation is key. I should really, really have asked people to test the game, rather than setting out to publish the game and see what happens. There are many gamers out there on various discord channels very willing to help. I could – and should have done that! I have three different computers at home, but this is clearly not enough to recreate the diversity of setups out there. Besides, as it turns out this black screen problem was a rookie mistake, and very easy to solve in hindsight. Where was the problem? There. It is reported in quite a few threads on the yoyogame forums. 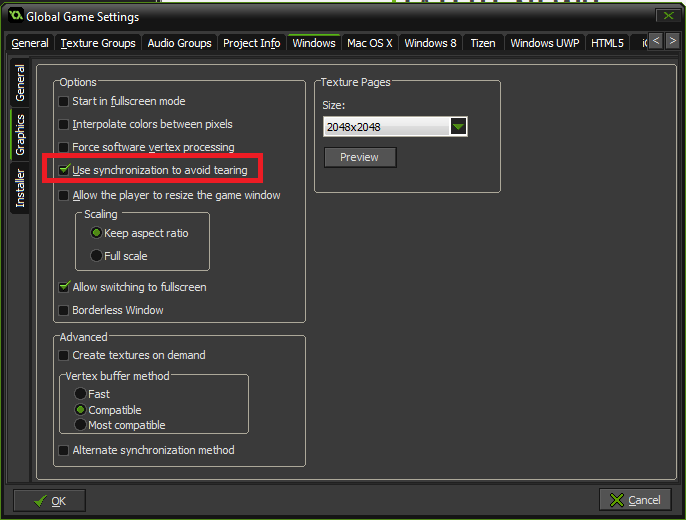 This is a setting I have enabled in most my games, but somehow it never crossed my mind to click it for Holey Suit. Maybe because of the simple graphics, I was never getting the tearing I normally get in my games and therefore never ticked this. Bottom line: this was a simple problem to avoid on release week, by asking a few kindly strangers to spare a few minutes playing the game. My go-to community is the Butterscotch Shenanigans discord channel – within a few minutes of asking for troubleshoot help someone volunteered! Very nice, passionate bunch out there – most likely down to the BScotch guys being so upbeat and positive through their podcast! Well, the game is out, and so far the result is encouraging. I have one video from MonkeyboyGamer and others have committed to making a video too. What else has made a difference? Posting to the “Announcement” thread on itch.io. The post got picked up by a moderator within a few hours and the game got promoted on the front page! Holey Suit’s page got so much more attention than anything else I have ever posted – this is so encouraging! In combination with Gamejolt, I think I should close on a 100 downloads this weekend. People have also started to follow the project, so any dev blog etc. will come up in their feed. Not bad for a first alpha release! Well, after this post I need to head back to work on the game. It’s been very exciting to watch the download numbers go up but the game still needs a lot of work. Last take-away from the last few days: releasing a game without music and sound FX isn’t great, even if in alpha! People were mostly confused and thought the game wasn’t working properly (or worse: their computer! ), so it’s best to have placeholder music and sound if you can. So on top of my to-do list, music and sound FX are next! Tutorial, making people understand the game mechanics faster! At least I now know I am working towards something: feedback so far seems very positive and people enjoyed the game. All encouraging stuff. 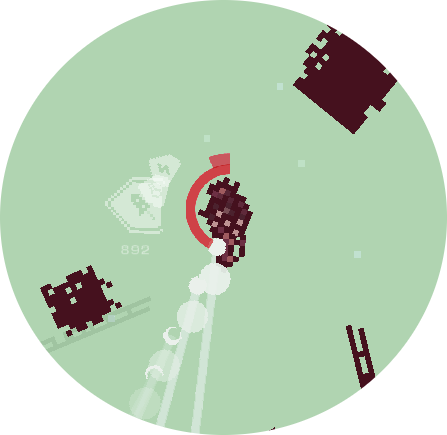 Did you enjoy this Holey Suit Game Dev Blog post? Interested in Holey Suit and its development? Stay tuned and follow me on Twitter for regular updates! 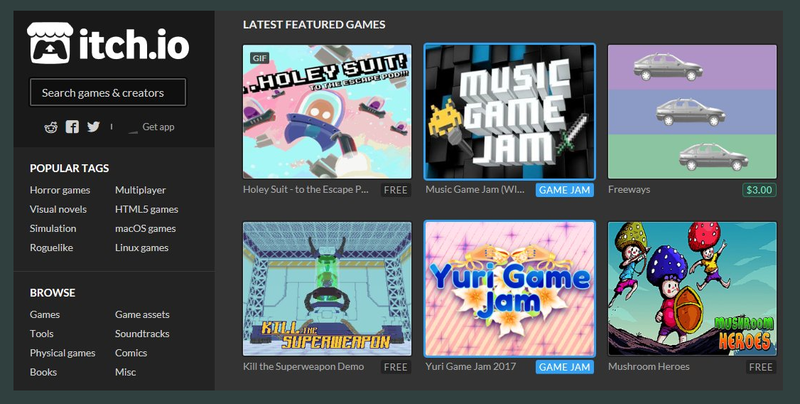 Also check out the itch.io or gamejolt page if you want to try out the game!